Queens, being a part of great New York City, has its share of devastating break-ins to houses, businesses, storage areas, cars and anywhere else that needs a good lock on it to protect the objects inside. Full security systems including alarm systems, locks, cameras, motion sensors and other advanced security technology will make homes and businesses safe. There is something about bright lights and loud noised that has a tendency to drive away intruders. They can be seen and they have been caught. They know perfectly well that the police are speeding in their direction. This is a strong deterrent against theft. Look to NYC security services to help you establish strong security for your home. 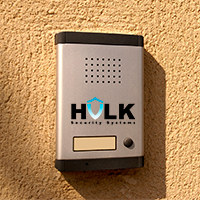 Contact Hulk Security Systems and experience first-hand what true professionalism is in the security industry. Our broad range of different security products and services are exceptional and performed by experts. Your new security system and alarms are based on an assortment of sensors arranged thorough and outside the home to sense intruders or possible break-ins. Motion sensors are exactly what they sound like. By sensing motion when there is not supposed to be any motion in a room, the system knows that there is an intruder and so do you. It may occasionally be a stray cat, but this is a first-line tactic to catch burglars before they are able to make off with your belongings. Proper locks on the doors and windows are also of great importance for total protection. Alarm systems can sense when doors or windows have been opened. When the alarm is set, any opening of the house that is accessed will set off the alarm and contact the authorities immediately. In Queens, you need this kind of protection and you deserve to have the equipment installed by NYC's leader in security solutions, Hulk Security Systems.